This web site is committed to the preservation and improvement of the ENLISTED LANDS & RETIREMENT HOMES for current and future enlisted members of the U. S. Armed Forces. It is supported by the residents of the home under the name Enlisted Lands Organization! 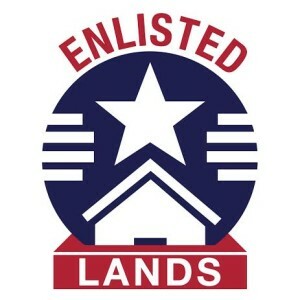 The ENLISTEDLANDS.Org is not the official website for the Armed Forces Retirement Home. Who, What, Why, and How did Enlisted Lands Organization come to be? AFRH: we the staff of AFRH strive to make your final duty station as comfortable and meaningful as possible for the reward for all your sacrifices. Back in 1811, our young nation made a “Promise” to care for its older and disabled veterans. This would be repayment for their sacrifices in defending liberty. At last, two homes were built: the US Naval Asylum in Philadelphia (1834) and the US Military Asylum in DC (1851). Since then both Homes have housed thousands of eligible, aging military veterans. Both asylums were self-sufficient in the 1800s. All “inmates” were expected to work and contribute to the daily operation of farms that supplied all their needs. Uniforms were issued, reveille was called at 0500, and inmates marched to supper. Through the 1900s and after World War II, the two Homes evolved with the times with an emphasis on leisure and recreation. In 1991 both Homes joined forces and became the AFRH. Today the AFRH is a modern, thriving retirement home with a focus on health and wellness. We offer premier services parallel to those offered in the private sector. Yet, one constant remains: all Residents have served in the US military and share a common bond of defending liberty at home and abroad. Each of the AFRH communities has a Hall of Honor to celebrate our military heritage and honor all who served. Our staff is driven to nurture its Residents while giving them the respect they deserve. We continually enhance our great programs and services to deliver highly personal care. All so you can stay happy, healthy, and get the most out of retirement. After all this is your time to thrive. I guess the easiest way to explain it is that each one of us, enlisted members, which served at least one month in the Armed Forces, had $.50 from our pay extracted every month. This money continued to be taken out of paychecks as long as we were in the service. That’s right, they took the $.50 out of our pay as part of the contract that we signed when we enlisted. That money went directly into the only private trust fund in the federal government and is under the control of the executive branch of government. That trust fund supports the Armed Forces Retirement Homes which constitute the land and buildings that we own. We are the only ones that contribute to the trust fund so in reality each of us owns a little piece of the land and buildings that make up the Armed Forces Retirement Homes. What we hear most is that many of us didn’t even realize that they were taking the $.50 or we just didn’t know where it was going or what it was for. The homes and the land have been administered by the Department of Defense because the executive branch logically said since we were in the military the Department of Defense should run it. It was run by retired military officers and today it’s being run by what they titled a COO which is basically a civilian running the home now. We have started this organization to reach out to every enlisted member past and present that want to participate and want to improve and build upon the Armed Forces Enlisted Lands and property. We never had the opportunity to come together as a group of enlisted members to to improve the life of our retired qualified enlisted members. Now we do with this website. My entire mission is to get the word out to ALL Qualified Enlisted Veterans that they have a home and land that THEY have a say so in what happens to it.